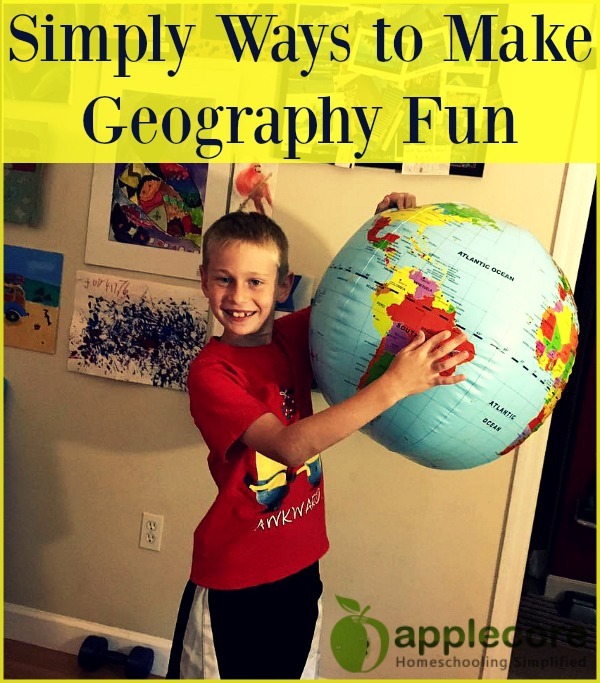 Geography has always been an interesting subject to me, but for some younger students it can be overwhelming. 7 Continents, 4 sometimes 5 oceans, imaginary lines, 4 hemispheres, and over 190 confirmed countries. Add the different landforms, temperatures, and languages … the Earth can make students feel like it’s just a spinning sphere of confusion. 1. Invest in an inflatable globe. Globes are easy to spin, point, and even toss around for review. They make it easier to locate different lands because of reference points. I can easily see where Africa is compared to Asia – but if I print a map of Africa … I just see Africa. You can also use a dry erase marker on inflatable globes to draw navigation or trade routes, regions, etc. It is much easier than printing out a new map each week. 2. Explore one country every few days. Do not be afraid to stick to one country and really learn about it. Discover landforms, major cities or rivers, borders, imports and exports, regional food, plus famous landmarks or famous people. Sure a child can sing a song and memorize words, but when asked to point to those countries on a map they look lost. Ask them one unique thing about that country and they can only chant the next country in their cute song. The library will be your best friend to check out books, movies, and reference materials. 3. Purchase Country Notebooking Pages. Let’s be honest. We all want to create the perfect curriculum, but just don’t have the time to make our way through Pinterest to piece it together. You can easily grab a beautifully compiled pack of almost 200 countries and study the world at your own pace! No mean teacher’s planner to bark deadlines and remind you how much you’re “behind” this year. Print a country and enjoy learning about it. We might sing, It’s a Small World, but I disagree. It’s a big beautiful world full of interesting places – enjoy learning about them with your children.